But, you can also cook them in the oven. More on that below. Before we get to the “but I don’t have a grill and still want to make these part,” I wanted to share the best way to get these foil packs to freeze. I prepare the packs as directed and then place them onto a flat baking sheet in the freezer. 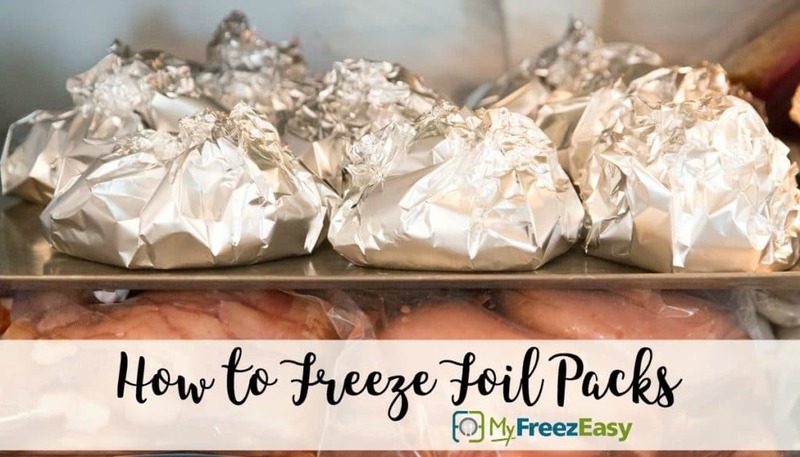 Let them freeze (2+ hours) and then transfer the frozen foil packs to a baggie and tuck back into your freezer. Freezing them flat will help the food stay flat, and this also reduces the risk of the foil tearing. Most of the MyFreezEasy Foil Packs are a protein, sauce and veggie. We are sharing more and more into the Freezer Meal Plan Builder as we go through the summer. 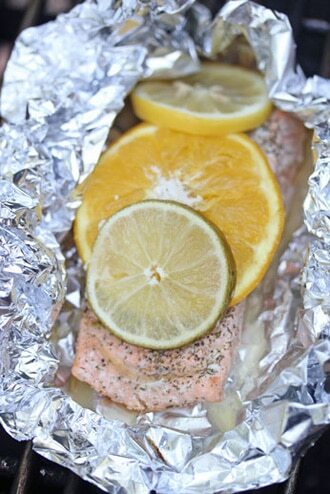 Now…what do you do if you don’t have a grill to grill these foil packs??? You cook them in the oven….ON A BAKING SHEET! Just about every foil pack contains a delicious sauce and you do NOT want that sauce dripping and burning onto the bottom of your oven. It doesn’t happen often, but on occasion you might find a small tear in your foil pack and the sauce will start to seep out. You can double wrap it with another piece of foil, if you catch it in time. But to be safe, place your packs onto a baking sheet. 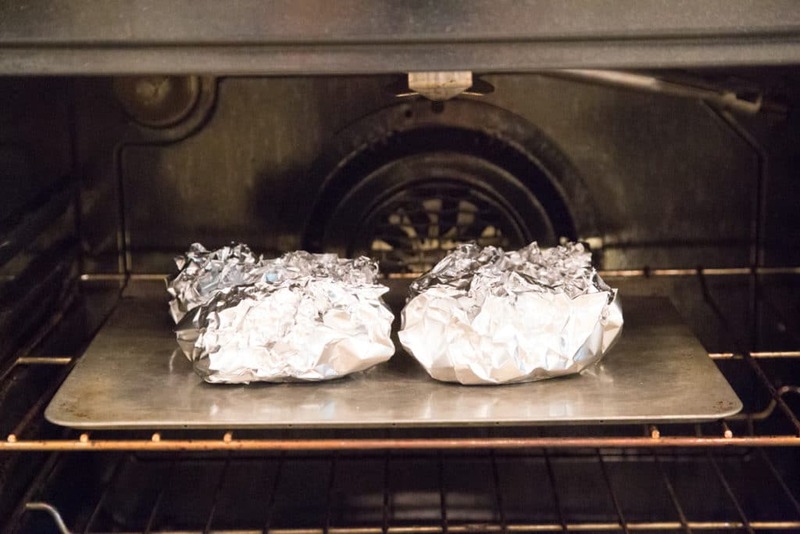 I bake all my foil packs at 400 F, as that’s pretty close to what an average grill will heat to (when lid is closed). Here are some rough cooking times for different types of meat in the foil packs. Note that cooking times will vary depending on thickness of the meat and the other contents in the foil pack. Whether you’ve cooked your foil packs out on the grill, or in the oven, you need to be careful when opening them as hot hot hot steam will release from the pack. You can slit the foil towards the top with a small knife, or you could carefully create an opening in the top of the foil. Let the steam escape before opening completely. Check to see if the meat is done. If it is, get on with your meal. If it is not, quickly wrap it back up and return to the oven. P.S. Learn more about becoming a MyFreezEasy member and being able to choose your favorite foil packs recipes for your freezer meal plan! I have read the instructions…but can’t seem to see if you are cooking from frozen or not? Can you please clarify if you thaw the foil packets first then bake? Or just pop them in frozen? And whether or not the suggested cooking times for the meat above are from frozen or from thawed?